It's no secret that I'm a huge fan of the 80's, so when images of cute, statement-packing clutches kept popping up on Pinterest, I couldn't help but make my own version using a lyric from the all mighty Simple Minds... Plus you probably wouldn't want to leave your clutch behind, so it seemed kind of fitting. 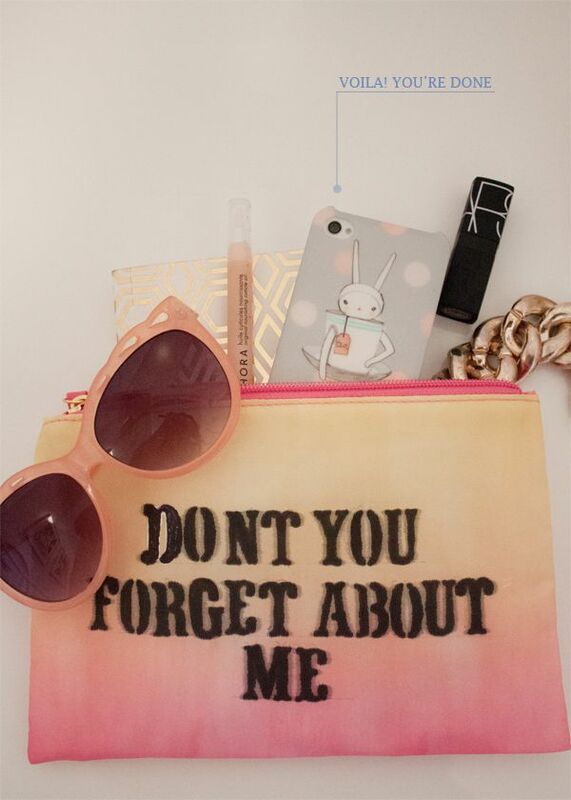 Want to personalize a clutch of your own? 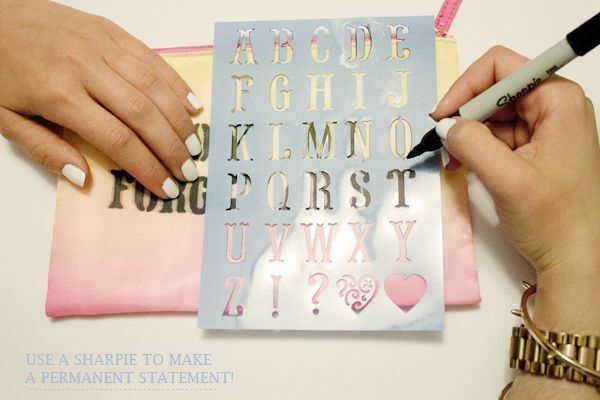 Grab your stencils and sharpies ladies, because this one's a breeze! Such a cute idea!! I'm so going to make one of those! So easy and it looks fantastic!! Love it, and who doesn't like a good 80s lyric?! Ugh - so cute! Can't wait to try this! This is so cute, I'm going to try it this weekend!